While all the focus is on the Fed Funds Rate, pegged at zero for seven years, the real interest rate worth watching is the 10 year Treasury Bill (10yr). The rate on that actually dropped through the stock market bloodletting, from 2.3% to 2.0% today. That is the rate which actually determines the cost of borrowing in US Dollars (USD) for everything around the world – from your mortgage to business loans to some very complex financial trades. The rate on the 10yr went down for one simple reason – money had to go somewhere. When big investors sell their stocks the money winds up somewhere else. A “flight to quality” often ensues in a market panic as investors seek a safe investment. The benchmark for safe investing all around the world is the 10yr. All of this started in China, where the market is melting down rapidly. The reason for this is that the Chinese stock market was puffed up by two rather crazy assumptions – that China could grow faster than 7% forever and that when it finally floated the Yuan (aka Renminbi or “People’s Currency”, RMB) the value of it would rise. The latter was important because a lot of investors borrowed cheap money in US Dollars to invest in Chinese stocks. Borrowing in another currency is called the “carry trade”, and no one knows just how big the Chinese USD carry trade was. It was speculated at well over $1 trillion. That money was put into Chinese stocks that always went up with the rapidly growing economy. Whenever it had to be paid back, the theory went, RMB would be stronger against the USD and the debt outstanding would be cheap. This all started when China devalued RMB, something we all knew was coming. As soon as that currency is convertible you can damned well bet that Chinese investors will get as much out of that (still) centrally planned communist nation as they can. This gets us back to the Fed action. Raising our interest rates will finally destroy that carry trade by narrowing the gap with borrowing in RMB, currently pegged at 4.6%. That will kill the Chinese stock market, but it will free up more cash for US investment. That was the reason to have low rates all along, after all – to stimulate our economy. A rise in rates will actually do that. Here’s where it gets especially strange, however. 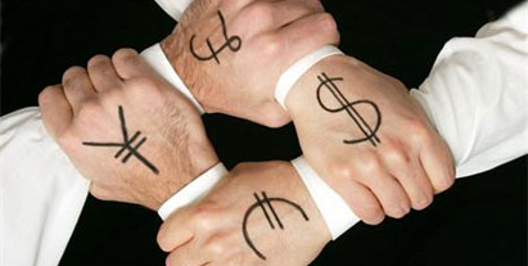 If the stock market is further spooked more money will flow out and go somewhere. That somewhere is, you guessed it, the 10yr. A rise in rates has a good chance of actually lowering the rate that matters the most. 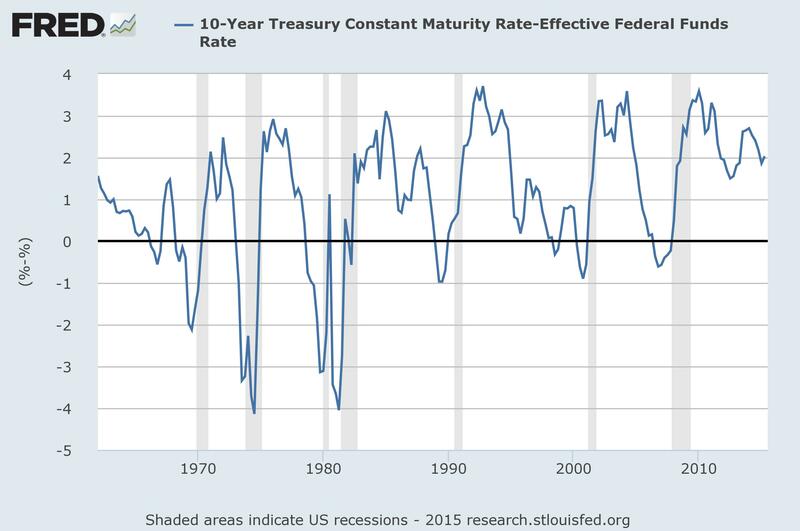 Which brings us to the “spread” between the Fed Funds Rate and the 10yr, or how much higher the latter is. This chart shows the difference between the two since 1962. The “spread” between the 10yr Treasury Bill and the Fed Funds Rate. Data from the St Louis Federal Reserve. The spread has averaged about 1% over the last 50+ years, but stands at 2.0% today. It can, and should, close up considerably before we start to see substantial economic growth. That would mean that investors eager to park lots of money somewhere would be better off putting into things that actually grow like companies with good ideas, et cetera. So if the Fed Funds Rate goes up, a lot of strange things happen all around the world. The carry trade, which is far from exclusively Chinese, dries up throughout the developing world. That sends the USD home where it has to find something else to do. When the 10yr falls it actually drops the value of the USD against other currencies, helping our exports – and providing more jobs here at home. It would be a big middle finger raised to the developing world if we did it, and that’s another consideration. We have to ask ourselves, “How much should the Federal Reserve care about developing nations?” a question that has been asked before in the 1990s. If you are a reader in the US, I might be able to guess your response. It’s OK, we’re a bit desperate after 15 years of Managed Depression. But for all the worry in the stock market, there is one policy decision in front of the Fed which should be absolutely clear at this point – a rise in interest rates is far more likely to bring about good than bad. It may trash the stock market further, but that’s OK. The Fed is not there to puff up the stock market in the short haul, it’s there to support the economy for everyone in the long term. The choice is clear. The Fed Funds Rate should be raised as soon as possible. This entry was posted in Money, Nooze and tagged carry trade, China, currency wars, current events, devaluation, Economics, economy, Jobs, News, Politics, stock market, stocks. Bookmark the permalink. I doubt they will raise rates for a long time. It will strengthen the dollar too much and that will hurt trade. Also if rates ever return to a resonable level, the stock market will crash. But I’m convinced the USD will actually fall if there’s a rate increase because it will kill the carry trade. That will bring money home. The logic is strange but we live in strange times. These are strange times indeed. It seems to be uncharted territory and the experts don’t even know what to do. Personally, I would start with 1/4 point increases over the quarter and normalize things somewhat. The present situation is insane. Then there’s the idea that they should raise rates because free money is just stupid. This song is for Janet Yellen. Done more than the rest of the Gummint. I had to read this twice to understand your logic. I see your point but none of this makes any sense to me right now. Like the stock market its probably best to just not worry about it a lot. Yes, don’t worry about it. We need to achieve some kind of equilibrium around the world before anything is stable, and we’re not even close to that yet. The Federal Reserve is not speaking with one voice. 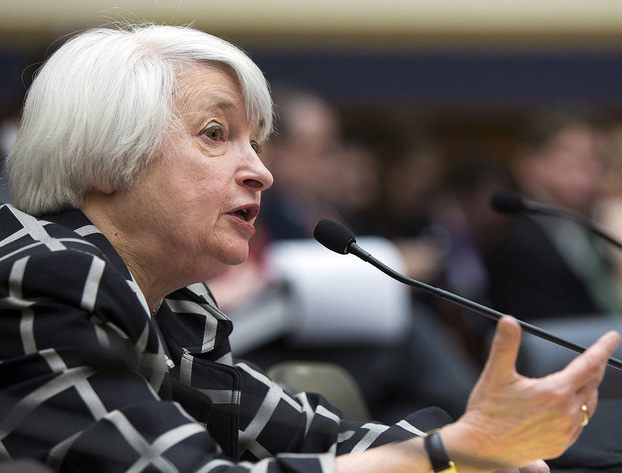 Yellen gives too much leeway to the fed governors. A strategy of multi-voicing monetary policy is not going to work when Europe is adrift, oil prices dropping and the state of international relations. We have moved too far away from Ben Bernanke’s approach. Europe has a deflationary approach to economics, an incorrect one, since the Germans are still sore about WW 1. Confusion is reigning in the middle east because President Obama is trying to triangulate between various forces. HIllary Clinton is faltering and liberals are discouraging Joe Biden who would help to strengthen the 2016 presidential campaign. Biden is a known quantity and VP and would help presidential politics. 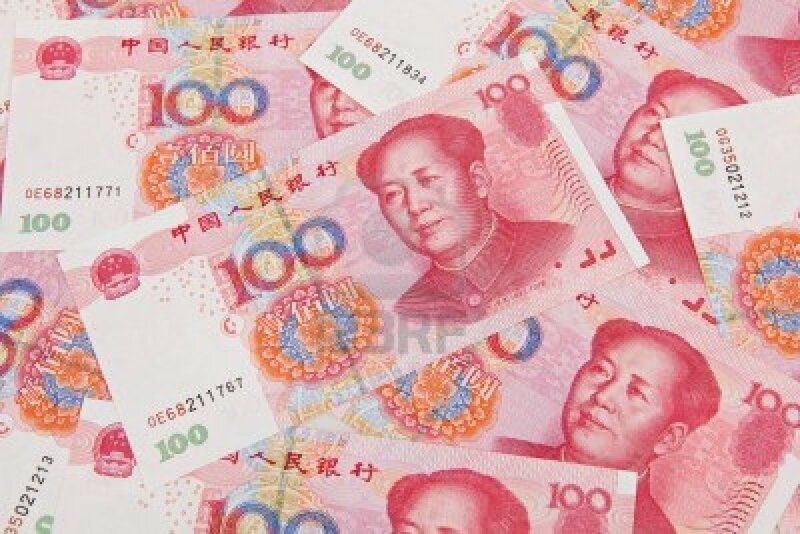 On China devaluing currency is a non-standard approach to stimulating their economy. The criticism about China is their currency was undervalued, so a solution is not to make it cheaper. China, Russia and Brazil and Europe show themselves not ready for prime time. That is why President Obama should lead rather than take more vacations and play golf. Should the Fed be more open or speak with one voice? I think we can say that this is a time of crisis, or at least one damned crisis after another, so there is a lot of value in one voice. But I still prefer this openness. The market as a thing is too monolithic, IMHO, and it should be more open in general – like a noisy, thick open air market. It used to be that way. Let the Fed reflect that, I say. As for Hillary faltering, well, a lot of them are faltering. The process has a lot of time to play out. China? I’m convinced that most of that nation is a big pile of … mess. Their currency was never undervalued and you know that at the first chance all the billionaires over there will get as much the Hell out of there as fast as they can. The value of RMB should be roughly a measure of confidence in China, and I can’t see any reason to be confident in that place. RMB? Feh. As for being ready for prime-time, I get the feeling that no one is. The world is run by a lot of amateurs these days. Merkel gets her way largely because she is the only competent person in all of freakin’ Europe. Might as well let her run things – except for that weird love of austerity and deflation. If only the left would get its act together and at least have a good debate about where they need to go. Besides, what the Hell is this “Europe” as a thing anyways? They have serious existential problems that underly how they lope from one crisis to the next, from one dreary day of austerity to the next. That’s racist to say China is a mess of a nation. This is not the first time you express racist comments. You had said China enslaves its people. Lets not overgeneralize. You also made a snide statement about Malaysia in one your comment responses. You never responded to my observation that you left women and minorities out of the picture in one of your recent blogs. Please lessen the racisim and sexism in your blog. I have never said anything bad about Malaysia! I like that place. Needs a lot more democracy and openness, but they’re going pretty far pretty fast.